So the sales kick-off meeting went off without a hitch. Your troops are all fired up to sell the new product line, your company is projected to have tremendous growth and your sales team has been trained on the latest and greatest sales methodology (my favorite being The Challenger Sale). Then to put a cherry on top, you just announced a President’s Club, where the best of the best will separate themselves from the pack. Now what?!? A manager or support team has to run a report daily or weekly and create a field inside of whichever CRM you use with each rep’s target. From here, unless you have a CRM pro on your team that can create this dashboard, you’ll probably have to e-mail results out to the group…and risk the rankings getting lost in your reps’ inbox. The dashboard showing how reps are doing in the President’s Club contest can get missed amongst the other KPIs being tracked on dashboards. Most reps don’t get overly excited to look at another automated report, and by the time reps are seeing this information it is probably not up-to-date . 1. Keep It Real Time – How many times have you heard reps say they think there is a President’s Club this year or are not sure? Or they know there is one, but don’t know what is going on with it? 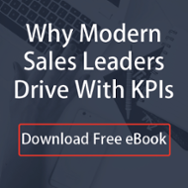 Allowing salespeople to always know where they stand not only keeps them in the loop; it helps them maintain motivation and allows them to plan and execute to achieve their targets, too. 3. Give Recognition – Tools like Work.com enable managers to award badges for achieving milestones. That means every time a rep gets to 100% of quota, managers can award a customized badge that all of that rep’s peers can see on his or her Chatter profile. The Ottawa Senators’ ticket & suite sales team is currently running a President’s Club competition using Compete by LevelEleven. The contest will run through 12/31 and focuses on net new ticket and suite sales tracked via Won/Closed Opportunity status. 1. Keeping It Real Time: To get reps to go above and beyond for the competition the Senators are sharing real-time results on flat screens throughout the office using Leader TV. 2. Awarding Incentives: And the grand prize is? Tickets to the highly sought after NHL Heritage Classic, where the Vancouver Canucks will take on the Ottawa Senators in Vancouver, with flight, hotel and spending money included. 3. Giving Recognition: The Senators aren’t waiting for the winner to be announced to offer recognition for a job well done. They’re giving props to participants doing a good job along the way, too. Here are 3 best practices for running a successful President's or Chairman's Club.